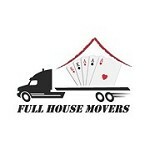 Full House Movers: Full House Movers Joined Storeboard! Sacramento’s premier moving company! Looking for the best movers in Sacramento? Full House Movers is a fully licensed moving company in Sacramento and we have the experience and customer service to prove it. Whether you are looking for local moves or long distance movers in Sacramento we can help!